Elegant evening shoes in a selection of five stunning satin colours. Beautiful closed toe ladies shoes, with a pretty flower detailing at the toe. 9.5cm satin covered heel and wonderful cushioned insole. 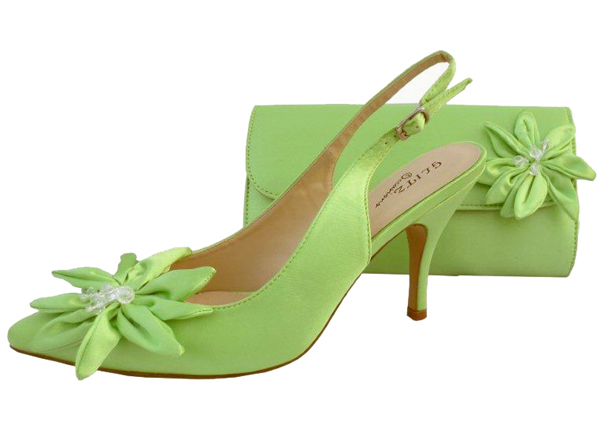 Buy these fabulous lime green matching shoes and bags online today. The wedding shoes are also available in silver, pewter grey, navy blue and silver. Unfortunately we have sold out of the matching clutch bag.